Nestled on the outskirts of the culturally and historically vibrant melting pot of St Kilda, CoWork Me gives members access to offsite necessities, inspiration and re-calibration within a 10–20 minute walk. Jump on a bike and you’ll find yourself exploring laneways in Melbourne’s CBD in 25 minutes or taking in the views of St Kilda beach in 10. Nearby trams to the city will give you half an hour for your latest read. Cafes, bars, beaches, parks, newsagents, supermarkets, gyms, restaurants, childcare … everything you need is just a short wander from the CoWork Me doorstep. 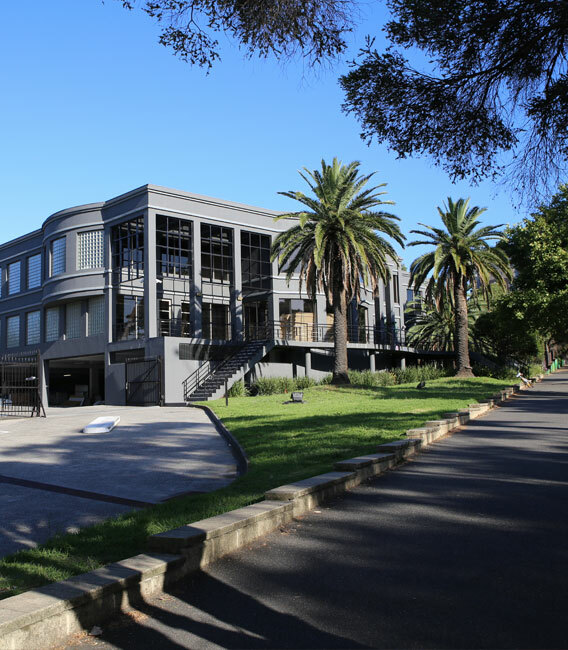 CoWork Me is a sprawling, architecturally restored, dedicated coworking site with a coveted St Kilda Road business address. We have dedicated rooms for quiet focus for individuals or teams, as well as communal areas where you can chat freely, work with some background noise and bounce ideas around with other CoWork Me members. Inside and out, CoWork Me takes up a human-centred design philosophy to make sure CoWorkers have everything they need to thrive, including flexible spaces to accommodate changing work needs. A direct 5 minute drive / 15 minute walk to iconic St Kilda locations including Acland street, St Kilda beach and sea baths and Fitzroy street. Use our car service for an easy 15 minute drive or catch a 25 minute tram ride into the CBD. Easily get to CoWork Me via trams 3/3a, 16, 67 / bus 246, 623 / Windsor and Balaclava train stations. Priority access to any of our state of the art meeting rooms.